It's not uncommon for Nielsen/SoundScan to adjust the final sales tallies. It's just that the tinkering rarely reverses the order of finish for the top two albums. This last happened in the week ending Aug. 31, 2008. The Game's LAX was initially declared the champ in a close race with Slipknot's All Hope Is Gone, but the two albums switched places in a recount. Fuse is Urban's second #1 album. He first topped the chart with Defying Gravity in April 2009. This is Urban's first album since he gained broader fame this year via his judging role on American Idol. Urban is the only judge from Season 12 who will be back on the judging panel when the Fox show begins its 13th season in January. At that time, the judging panel will, for the first time in the show's history, include an artist who has had a #1 album in the previous six months. This nearly happened this past season. Nicki Minaj had a #1 album in April 2012, nine months before she started as a judge. Four other Idol judges had had #1 albums prior to beginning their judging stints, but those chart-topping albums were years in the past. Mariah Carey's most recent #1 album, E=MC2, was in April 2008, nearly five years before she began her judging stint in January. For Jennifer Lopez, the lag time between her most recent #1 album and her debut as an Idol judge was nearly nine years. For Paula Abdul, it was 11 years. 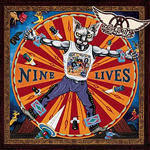 For Aerosmith's Steven Tyler, nearly 14 years. How does Urban's tally of two #1 albums compare with other Idol judges, past and present? It puts him in a five-way tie for second place among the 11 individuals who have had a regular seat on the judging panel since the show debuted in June 2002. Carey has had the most #1 albums (six) of any American Idol judge. She's followed by Abdul, Lopez, Tyler, Minaj and now Urban, with two each. 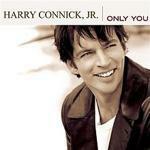 Harry Connick Jr., who will be joining the panel in January, has yet to land a #1 album. 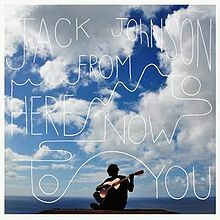 His highest-charting album, Only You, reached #5 in 2004. How about the other four judges? Randy Jackson climbed as high as #50 with Randy Jackson's Music Club: Volume One in 2008. Ellen DeGeneres failed to chart with her 1996 comedy album Ellen DeGeneres: Taste This. Simon Cowell and Kara DioGuardi have never released albums as artists. Urban isn't the only New Zealand native who's on fire on this week's charts. 16-year old newcomer Lorde is near the top of the Hot 100 with her breakthrough hit, "Royals." (It zoomed from #8 to #3 last week.) Lorde may well land a #1 album of her own when her debut album, Pure Heroine, is released on Sept. 30. 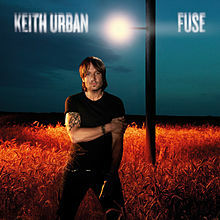 Fuse enters Top Country Albums chart at #1, displacing Luke Bryan's Crash My Party. It's Urban's fourth album to reach #1 on this chart. 2 Chainz's sophomore album, B.O.A.T.S. 2# METIME, enters The Billboard 200 at #3. It's his second top five album. The title is an acronym for Based On A T.R.U. Story, which was the title of 2 Chainz' debut album. That album debuted at #1 in August 2012. 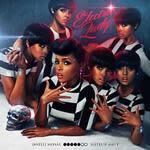 Janelle Monae's sophomore album, The Electric Lady, debuts at #5. Monae's 2010 debut, The Archandroid: Suites II and III, reached #17. Monae was featured on fun. 's "We Are Young," which is the 10th best-selling song in digital history. The Jimi Hendrix Experience had a #1 album in 1968 titled Electric Ladyland. Arctic Monkeys' fifth studio album, AM, debuts at #6. It's the group's highest-charting album to date. Favourite Worst Nightmare hit #7 in 2007. AM enters the U.K.'s Official Albums Chart at #1 this week. All five of these albums have reached the top spot. 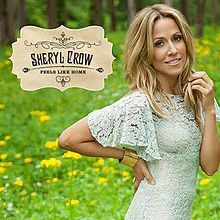 Sheryl Crow's eighth studio album, Feels Like Home, debuts at #7. All eight have made the top 10, as did a 2003 compilation, The Very Best Of Sheryl Crow. The new album enters Top Country Albums at #3. Feels Like Home is a well-worn title. A Linda Ronstadt album with that title hit #75 in 1995. A Norah Jones album with that title hit #1 in 2004. Even so, it's a good country title, a mash-up of Rascal Flatts' Feels Like Today and Dixie Chicks' Home. Miley Cyrus' "Wrecking Ball" jumps from #10 to #1 on Hot Digital Songs, dethroning Katy Perry's "Roar." "Wrecking Ball" sold 477K copies this week. The song is also expected to dethrone "Roar" on the Hot 100. You’ll find out for sure later today when we post Chart Watch: Songs. The Top Five: Keith Urban's Fuse debuts at #1 (98K). 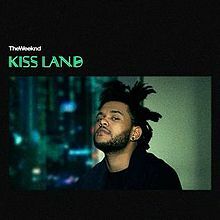 It's his fifth top 10 album…The Weeknd's Kiss Land debuts at #2 (95K). It's his second top 10 album… 2 Chainz's B.O.A.T.S. 2# METIME debuts at #3 (63K). It's his second top 10 album…Luke Bryan's Crash My Party rebounds from #5 to #4 in its fifth week (53K). It has been in the top five the entire time… Janelle Monae's The Electric Lady debuts at #5 (47K). It's her first top 10 album. The Second Five: Arctic Monkeys' AM debuts at #6 (42K). It's the group's second top 10 album…Sheryl Crow's Feels Like Home debuts at #7 (36K). It's her ninth top 10 album… Tamar Braxton’s Love & War drops from #2 to #8 in its second week (35K)… Ariana Grande’s Yours Truly drops from #1 to #9 in its second week (31K)….John Legend’s Love In The Future drops from #4 to #10 in its second week (30K). Six albums drop out of the top 10 this week. Nine Inch Nails’ Hesitation Marks drops from #3 to #12. Robin Thicke’s Blurred Lines drops from #7 to #14. Jaheim’s Appreciation Day drops from #6 to #17. Avenged Sevenfold’s Hail To The King drops from #8 to #13. Justin Timberlake’s The 20/20 Experience drops from #9 to #31. Imagine Dragons’ Night Visions drops from #10 to #23. 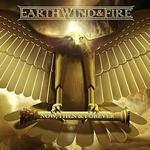 Earth, Wind & Fire's Now, Then & Forever debuts at #11. The venerable group first cracked the top 20 in April 1974 with Open Our Eyes. 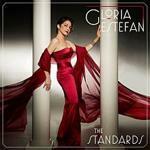 Gloria Estefan's The Standards debuts at #20. It's her 12th solo studio album; her first to crack the top 20 since Hold Me, Thrill Me, Kiss Me in 1994. The first album of standards by a contemporary pop performer in the modern era to make a splash was Ringo Starr's Sentimental Journey (#22 in 1970). Other early ones included Nilsson's A Little Touch Of Schmilsson In The Night (#46 in 1973) and Willie Nelson's Stardust (#30 in 1978). The first to crack the top 10 was What's New by Linda Ronstadt & The Nelson Riddle Orchestra (#3 in 1983). The latter album really alerted the industry to the potential of "traditional pop" albums. 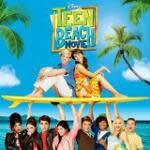 The Teen Beach Movie soundtrack drops from #20 to #25 in its ninth week. It’s #1 on Top Soundtracks for the ninth week. It’s the first TV soundtrack (from a made-for-TV movie or a series) to top this chart for nine weeks since High School Musical 2 was #1 for 17 weeks in 2007. The Great Gatsby: Music From Baz Luhrmann’s Film drops from #32 to #39 in its 19th week. It’s the week’s highest-ranking soundtrack from a theatrically-released movie for the ninth non-consecutive week. Derek Minor's Minorville debuts at #40. It's the Christian hip-hop artist's fourth album. The title echoes Nelly's 2002 smash Nellyville. Bruno Mars’ Doo-Wops & Hooligans drops from #74 to #82 in its 152nd week. It’s #1 on Top Catalog Albums for the 10th week. 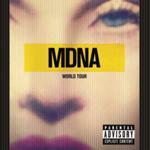 Madonna's MDNA World Tour enters Top Music Videos at #1. It's Madonna's 10th music video to top this chart. It follows Madonna (four weeks at #1 in 1985), Madonna Live: The Virgin Tour (10 weeks in 1986), Ciao Italia: Live From Italy (eight weeks in 1988), The Immaculate Collection (four weeks in 1991), Drowned World Tour 2001 (one week in 2001), I'm Going To Tell You A Secret (two weeks in 2006), The Confessions Tour (two weeks in 2007), Celebration: The Video Collection (one week in 2009) and Sticky & Sweet Tour (one week in 2010). Insidious Chapter 2 was #1 at the box-office over the weekend. Coming Attractions: Jack Johnson’s From Here To Now To You is expected to debut at #1 next week (115K). The rest of the top five will also be debuts: Justin Moore’s Off The Beaten Path (100K), Chris Young's A.M. (55K), Maybach Music Group’s Self Made, Vol. 3 (#50) and Avicii's True (45K). Billy Currington’s We Are Tonight will probably open at #9 (27K). Grouplove’s Spreading Rumours and The Devil Wears Prada's 8:18 will probably both debut in the top 15, with sales of about 18K each. Also due: MGMT’s MGMT (17K), Elvis Costello and the Roots' Wise Up, Ghost (15K), Zendaya's Zendaya, Five For Fighting's Bookmarks and Johnny Lang's Fight For My Soul.